I have been waiting and waiting to be able to tell you about this project! 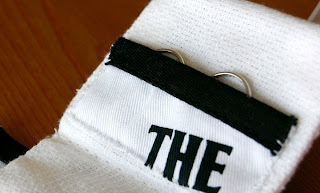 Awhile back a man contacted me asking if I would be willing to make a Beatles-themed earring holder for a time capsule for his wife's 60th birthday. His wife's birthday that is happening next year. Next year, people! 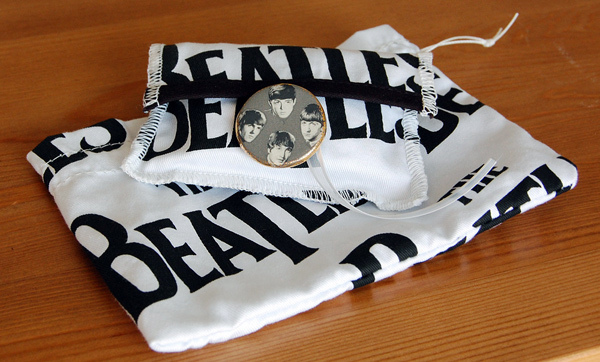 Before contacting me, he had already been busy shopping and collecting retro Beatles earrings, rings, and pendants. 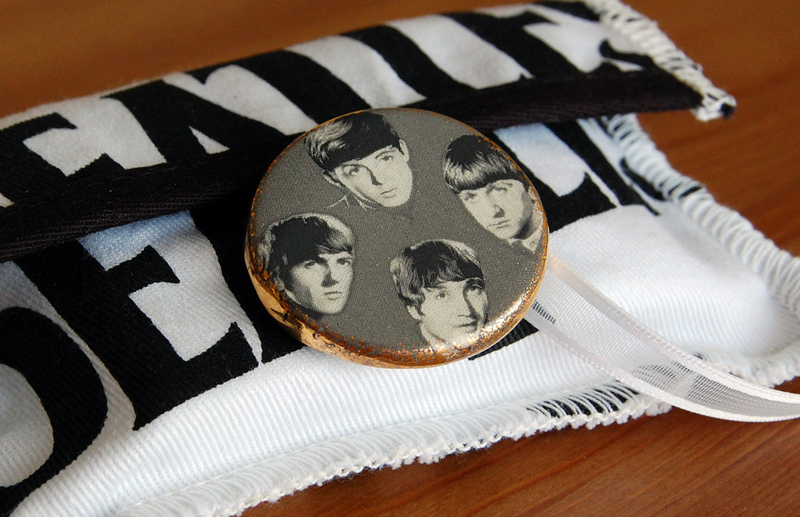 He even found the Beatles fabric (now a repurposed tea towel) and button (after noticing I had "a neat button" on all my holders). Since he needed it to also store pendants and rings, I added 4 pockets to the upper and lower panels for safe storage. 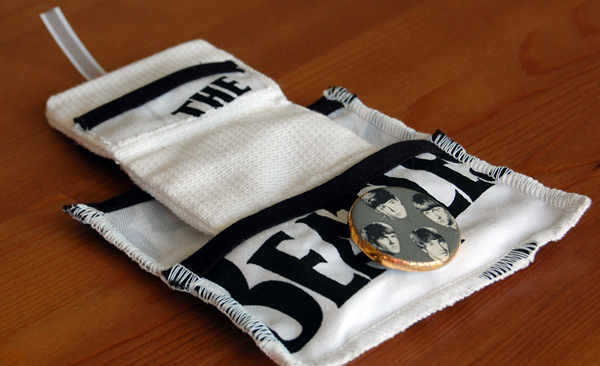 Then, since I'm a sucker for a sweet story and had extra fabric, I threw in a drawstring pouch to store the earring holder along with a larger necklace and bracelet he had purchased. Among my favorite features is the way the words lined up on the front and when it's opened. I hope she loves it and gets the "youthful kick" her husband is trying to achieve! ooh, I love this! You just may well be commissioned to do an entire line of rock groups... retro rockers! Nice job and looks great. Thank you both! It was a lot of fun to work on. Fab work, I am looking for that same fabric. No luck yet.